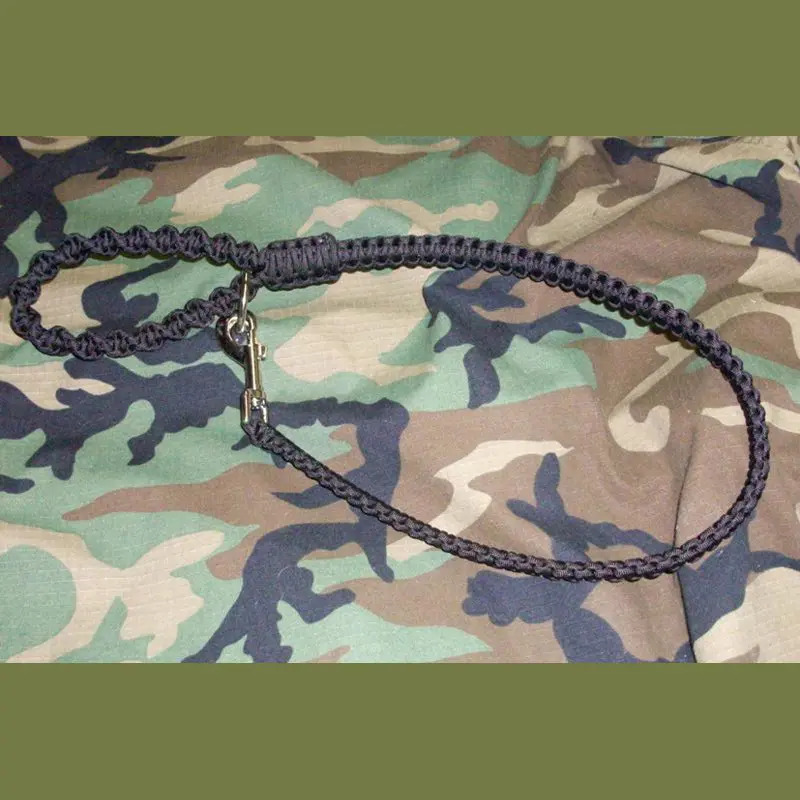 Our paracord lead is primarily used by professional K9 trainers and handlers in law enforcement and the military. If you want to show your K9 partners you really care about them, you need one of these leads. I’ve tied quite a few dog leashes but this one really stands out. This 36 inch OAL waist lead is all business, it consists of 56 feet of paracord with a 4 lead core surrounded by a cobra knot. Heavy duty trigger lock and a welded steel, nickle plated 1 1/2″ O-Ring made in the U.S.A.. The handle is a spiraling half knot and is finished in a short king cobra knot. In black, this lead would complement any uniform and set you apart from those boring leather leashes not to mention the brute strength of our lead. Dog Leash pricing includes USPS Priority Shipping to addresses within the United States. Due to current demand and the amount of knotting required, please allow up to 7-10 business days for me to make your leash. Comes in Black 550 Paracord.